Welcome Home Series<sup></sup> handlesets are the perfect addition to your front door to create a unique and fashionable entryway to your home. Each is stylishly designed to provide maximum-security protection. There are many styles, finishes and configurations from which to choose. Exquisite design combined with a distinctive profile, the Troy knob executes strength and beauty This privacy knob/lever is best used in interior bed and bath applications where privacy is required. Both knobs/levers are locked or unlocked by turn button inside. The outside knob/lever can be unlocked by an emergency key. The Venetian Bronze finish is hand-rubbed to reveal unique bronze highlights and provides a rich and warm complement to the product's style. Update your cabinetry with this Martha Stewart 1-3/16 in. Bronze with Copper Highlights Discus Knob. The smooth, slightly convex surface offers a subtle elegance and a modern appearance. With the modern look of this knob, it is sure to be enjoyed for years. The Schlage Single Cylinder Deadbolt and Keyed Entry Georgian Knob in Aged Bronze is perfect for use on exterior doors, with the deadbolt adding an extra layer of security to the lever. The Georgian knob's design is inspired by Georgian-style homes in New England. Its symmetrical detailing is highlighted by our Aged Bronze finish featuring warm, copper tones that break through its darker, aged exterior. Plus, it's been designed and tested with strength and durability in mind. The Elements Series<sup></sup> provides an expanded choice in Fashion Doorware at an affordable price. In decorating your home, choosing the right paint, wallpaper, tile and trim is important in creating a personal design. The Elements Series of Fashion Doorware will support and enhance your decorating decisions. Simple, elegant, and clean, the Fairfax knobs fits snug in the palm of your hand This half-dummy, or trim function, is surface mounted on doors where only a pull is required. The Venetian Bronze finish is hand-rubbed to reveal unique bronze highlights and provides a rich and warm complement to the product's style. Troy Venetian Bronze Privacy Knob Welcome Home Series<sup></sup> handlesets are the perfect addition to your front door to create a unique and fashionable entryway to your home. Each is stylishly designed to provide maximum-security protection. There are many styles, finishes and configurations from which to choose. Exquisite design combined with a distinctive profile, the Troy knob executes strength and beauty This privacy knob/lever is best used in interior bed and bath applications where privacy is required. Both knobs/levers are locked or unlocked by turn button inside. The outside knob/lever can be unlocked by an emergency key. The Venetian Bronze finish is hand-rubbed to reveal unique bronze highlights and provides a rich and warm complement to the product's style. 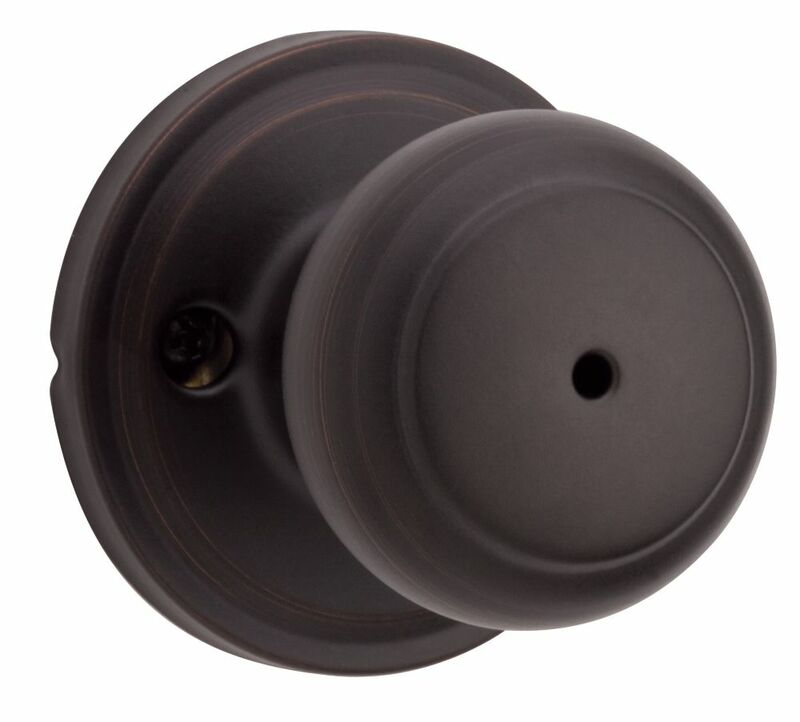 Troy Venetian Bronze Privacy Knob is rated 3.0 out of 5 by 1. Rated 3 out of 5 by Gordon Halifax from no distressed bronze in finish, just all brown The knobs look like they're flat brown in colour, no distressed bronze comes through at all. Also, many of them seem to slide around on the door, scraping the paint off the door near the edges of the knob plate. So overall, not really what we were hoping for.